Piano Dolly, Piano Trucks, All Piano Dollies On Sale! At Handtrucks2go.com you will find the perfect piano dolly and piano moving equipment at the best possible price! Getting the right dolly for your piano is a bit complicated and some times entails that we know your specific brand and model before we can place your order. Either way we are always here to help you with your selection and answer any questions you may have, so just pick up the phone and call one of our friendly reps today! Fully Adjustable-One Size Fits All! Perfect For Moving on Grass! The Right Piano Moving Equipment & Piano Dollies at the Right Price! Handtrucks2go is proud to have partnered with PAUL L JANSEN & SON Inc., the renown piano accessories manufacturers who have been in business for more than 50 years. Recently we have also hooked up with PME - A premier supplier of the best piano moving equipment. This is a continuation of the Handtrucks2Go tradition of bringing you the best moving equipment for all of your varied needs all under one roof. Is your piano a family treasure? A hand me down, just take it and get it out of here? One of the largest purchases the family can make? No matter, it is best to get the right dolly for your piano in order to move it safely, without damaging your wonderful instrument. It is important that we know your specific brand and model of piano before we can place an order for the correct dolly to move your piano. Our trained professional employees can help you with your selection and answer any questions you may have. Call us today and speak to one of our friendly associates who will help you select the perfect piano dolly! Steinway, Kawai, Baldwin, , Yamaha, Wurlitzer, and Chickering, as well as most other pianos.. Although it is recommended that professionals move your piano, piano dollies are great for showrooms, schools, churches, restaurants, banquet halls, and any other place where you need to change placement of a piano. Some dollies can be left permanently on the piano, giving you the freedom to move your piano as needed. These dollies will give you many, many years of trouble-free service. *The upright piano dolly by Jansen is fully adjustable, perfect for your Yamaha, Kawai, and Roland piano but will fit many other digital pianos (requires exact specifications of your instrument). 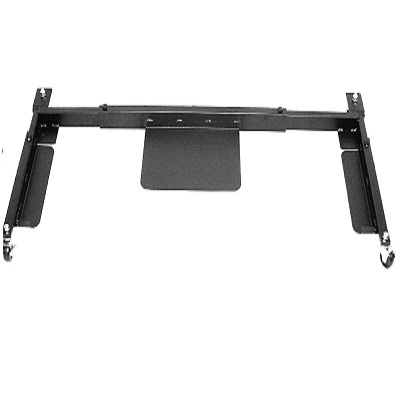 **The Jansen Rough Terrain Dolly was designed to move pianos, but is a great all-purpose, all-terrain dolly. There are six smooth Pneumatic tires that will roll very easily on all surfaces, concrete, gravel and grass. The wheels on the ends of the dolly are slightly raised to allow turning on the center wheels. ***Another option is the Twin Dolly Trucks. While designed for pianos these dual dolly trucks are a great solution for moving gun safes, appliances, vending machines and many other uses heavy items that require several adults to accomplish.